But his personal observation was that 2006 was about Re-Discovery. 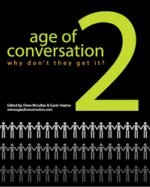 Discovering things about yourself through the connections that you can make within our hyper-connected world. I couldn’t agree more. There are some great insights in the slide deck, so do yourself a favor and give it a read. P.S. You can find my comment on slide 5. Is This Your Next Mobile Phone??? Samsung Electronics presented their new three-way foldable combination of phone, personal computer and music player tailored for an emerging wireless broadband technology the company is pushing as a global standard. The new device was unveiled at a Samsung-sponsored industry conference on Mobile Wi-Max – a new technology delivering faster remote broadband connections. Its called MITs, which stands for Mobile Intelligent Terminal by Samsung. 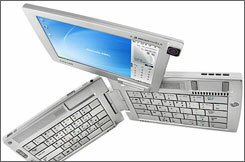 It weights about a pound and contains a fold out keyboard, 5-inch screen, 30GB hard drive, and Windows software. It is scheduled to be released in South Korea in early 2007 with Intel, Sprint Nextel and Motorola all looking to commercialize it in the States soon thereafter. 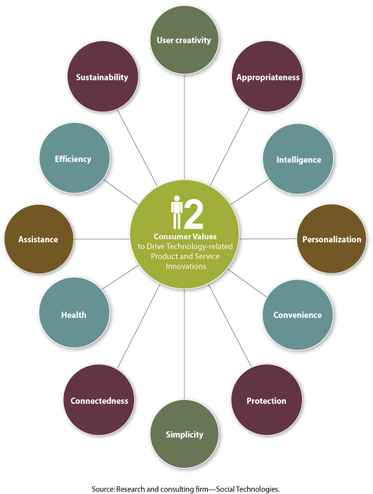 So says Social Technologies, a Washington, DC-based research and consulting firm in a newly released study entitled The 12 Consumer Values to Drive Technology-related Product and Service Innovations. The study makes its conclusions based on today’s trends and change drivers and by looking at emerging technologies were going to help fulfill these needs and desires in the future. I think this is some really insightful stuff. Businesses that embrace these values early are the ones who will succeed the customer-driven economy. How many of these values are you building into your latest initiatives? The full list follows. It’s worth the read!!! Karl Long at ExperienceCurve posted a note about a company called Mind Candy whose chief product is an online game called Perplex City. Seems that the company just received $7 Million in funding, but Karl said the big story was the “multi-media” platform for this game. I had never heard of it, so I checked it out. WOW! 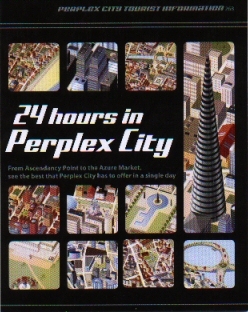 Perplex City is a puzzle-based “Alternate Reality Game”. It’s a virtual place, an ongoing story, a game, and real-life, and a global treasure hunt played simultaneously by tens of thousands of people around the world, all rolled into one. As for the “multi-media”platform; how about podcasts, internet video, TV, live events, websites, text messages, print, blogs, physical “puzzlecards”, a boardgame, and probably some more stuff that I haven’t yet discovered. This thing’s got more channels going that ABC’s “Lost”.